Whether you are a hunter, a hiker or just a passer-by, no one can avoid the curiosity of animal tracks. Whether they are big or small, stretch on for several feet or are concentrated in one area, the average person is quite capable of figuring out what type of animal made them. Tracks in the snow are some of the easiest to read. Read on for some practical advice on identifying animal tracks in the snow. Be aware of what types of animals reside in the region (see Resources). Count the number of toes in one of the footprints, if the tracks have toes. Double-check yourself by counting the toes in several different prints to make sure another animal hasn't come by on top of the tracks. Take note of the shape of one of the footprints. If the shape is more oval, it may be a hoof print and could easily belong to a deer or elk. If the print is broad with distinctive toe marks, the tracks may have been made by a cougar or wildcat. 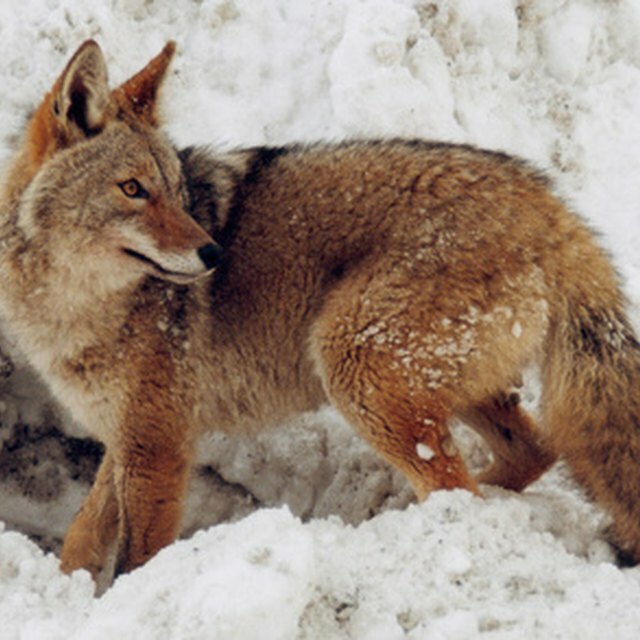 Coyotes and other canine species will have a print similar to a feline, but the toes won't usually spread out as much. Determine the approximate size of the footprints. Remember that the snow may have melted a bit, making the print appear larger. Or more snow may have fallen, partly covering up parts of the tracks. Combine your findings to narrow down the animal you think may have left the tracks. Omitting fowl because the footprint was made by a hoof, or crossing out elk because the print is a paw print are simple and obvious ways to start narrowing down the possibilities. Make a list of all the animals in that particular region in the animal family you narrowed the tracks to. For instance, if you decide the tracks were made by a feline, create a list of all the felines found in that region. Use the size and shape of the tracks to determine the animal species that made the tracks. If the tracks are large, for instance, you can omit smaller felines. The elimination process should reveal the mystery animal. The more you decipher animal tracks, the better you get. Keep animal guides on hand if you hike frequently. The guides sometimes show a picture of the animal print. Use caution when coming across animal tracks. You never know how close the animal is or what kind of mood it's in. Elrod, Jennifer. "How to Identify Animal Tracks in Snow." 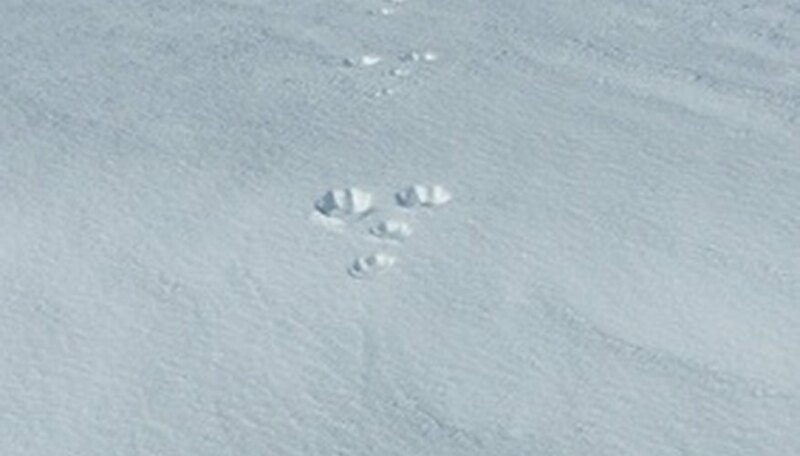 Sciencing, https://sciencing.com/identify-animal-tracks-snow-4926329.html. 24 April 2017.